Charles (Tolly) Logan writes: [This] was formerly a barber shop. I grew up in Roopville and always got my hair cut there. Charlie Storey was the owner and barber and was still there when I graduated from high school in 1965. 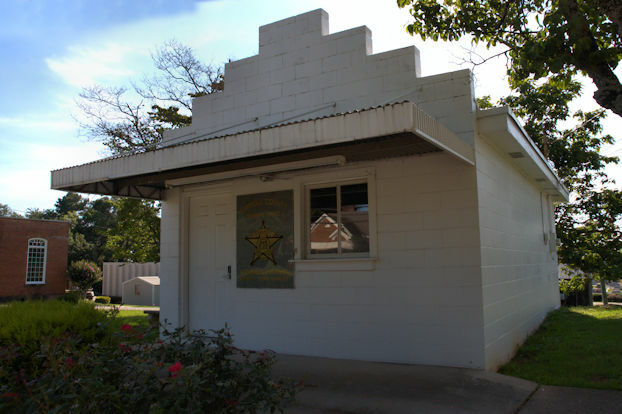 It presently serves as a precinct for the Carroll County Sheriff. The Sheriff,s was formerly a barber shop. I grew up in Roopville and always got my hair cut there. Charlie Storey was the owner and barber and was still there when I graduated from high school in 1965. Thanks, Tolly. I will update.